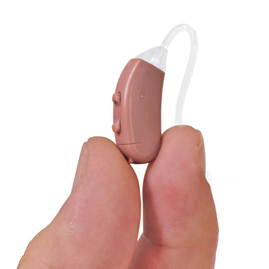 A small battery powered hearing aid that can be inserted into the ear. Used to increase the volume of incoming sounds and conversation. 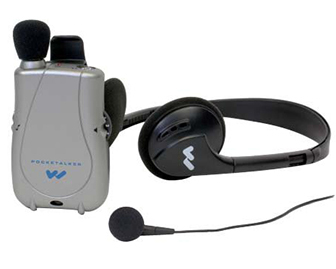 Great for those with age related hearing loss that wish to increasing their ability to interact with others. A portable audio amplifier that comes with a microphone. Commonly used for age related hearing loss to engage in one on one conversations. Others speak into the microphone while you hear their amplified voice in the ear piece.